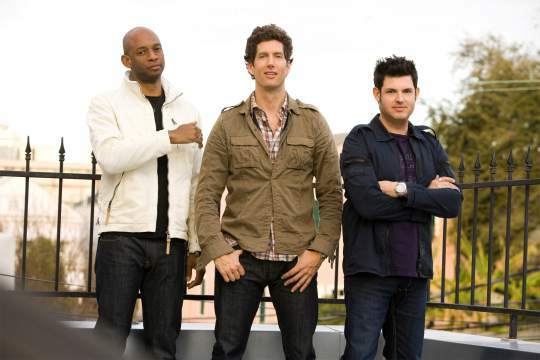 New Orleans rockers Better Than Ezra have been pushing out their own brand of Southern guitar rock for 25 years now. After slugging it out on the road for years & selling nearly 30,000 copies of their album Deluxe before even signing to Elektra, they hit the top of the charts in 1995 with their single “Good”. A smattering of fantastic pop rock gems followed, and the band maintains a longtime fanbase of faithful “Ezralites”. Fan favorites emerge from several different Ezra eras: some love the early era of “Good” and “King of New Orleans”, others the funky strut of “Extra Ordinary”, some the “Desperate Housewives”-associated “Juicy”, and still others their swampy cinematic crime drama “A Southern Thing”. Their latest CD is Paper Empire and their recent EP Death Valley hit the sweet spot with Louisiana State University football fans by re-recording some of LSU’s Tiger Stadium standards. 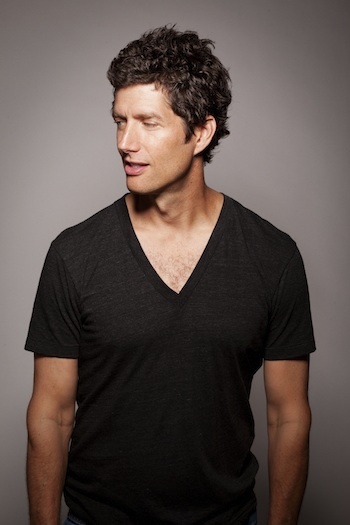 The creative force behind the songs has always been lead singer/guitarist Kevin Griffin, whose prolific and catchy tunesmith talents brought him added success co-writing songs for James Blunt, Debbie Harry, Sugarland and others. A few years back, Taylor Swift covered his BTE song “Breathless” at a performance on “Hope for Haiti Now: A Global Benefit for Earthquake Relief”, a charity telethon to benefit the victims of the 2010 Haiti earthquake. Griffin makes a rare solo appearance at BB Kings in New York on November 2nd, so we asked Kevin to give us his RAVES & FAVES video list. 1. Rolling Stones “Waiting on a Friend”. This feels very loose and unscripted. A great portrait of the band in NYC at the end of the 70s. 2. David Bowie “Ashes To Ashes”. An iconic video with great art direction. And I love the Flight of the Conchords homage to it. 3. All the Tim Pope-directed videos for The Cure. I just love his work, and it was best with The Cure. “Close to Me” and “Lullaby” are faves. 4. Robert Palmer “Looking For Clues”. I’ve always loved how simple this is. I love the green screen of him on the xylophone. 5. Frankie Goes to Hollywood “Relax”. A great portrait of a band about to explode. This song was just massive and features Trevor horn’s era defining music production.